Wesley Stone is an alpha without a home. Not really, but he's been made to feel like an outsider his entire life and all because of the unusual scar on his abdomen. As the current alpha readies himself to retire, Wesley is told that he is being "traded" to another pack for an alpha in their pack. Jobe Root is an alpha with the Purple Sky pack, the one that Wesley is being traded to. When Wesley meets Jobe for the first time, he feels a connection with the man but is not sure how it formed so quickly. Jobe realizes that Wesley is insecure about his feelings and even his position at Purple Sky and does his best to make him feel like part of the team. As Wesley begins to feel more and more at home with the Purple Sky pack, he realizes there were a lot of things he wasn't taught as a member of his former pack. The other packs have forgotten the basics of their species as well as the legends and folklore. A slow moving friendship that turns to romance. The reader learns more about this shifter world and the differences among the packs in this installment. This is the second in the series, but could be read as a standalone. That said Blue Mountain is a lovely read, so do give it a go too. I read quite a lot of paranormal romance and MM, but this brought in some new elements for me, and was fascinating in the way that the story develops. I made some educated guesses, but enjoyed watching the whole story unfold. It is sweet and easy reading with a desirable outcome. I liked that when Wes gets to Red River he is treated better than at his birth pack Purple Sky, but I would have liked more detail about how Purple Sky operated, so that their ignorance could have been better understood. I am interested to see where this series goes next! My heart just broke for Wesley when he couldn’t be Alpha for his pack and how he was treated, and all over a stupid birthmark, which turns out to be something amazing! Jobe, how can you not love him from the start, he is such a sweet, caring, easy going, loving guy. I love their first meeting and how passion filled it was and then when Wesley realizes ten years later that Jobe was his mystery guy it makes the connection between them so much better. You can’t help but love these two and when we finally find out what that birthmark is and oh man, my heart melted even more. I loved this book and can’t wait for the next one in the series. I am definitely a fan of Cardeno C's, so I was excitedly awaiting this book. I was not disappointed!! Wesley is a strong Alpha, but like with most societies, ignorance towards his differences have led to him being pushed away instead of accepted. He does what he has to for his pack, be he has no idea where it will lead. Jobe is a strong, confident, and well accepted Alpha in his pack. He just needs his mate. He is excited for Wesley to join him, but can he get him to understand his pack's ways? Jobe knows what is meant to be, but Wes has been spurned in the past and worries it will happen again. I really enjoyed this book. It definitely stood out and had a new aspect to it that I had never seen before. I am even more excited for the next book now and I definitely recommend this series. This is an extremely difficult review to write. Not because I didn’t enjoy the book, because as usual, Cardeno C. delivered a lovely, heartwarming romance that kept me glued to my Kindle until I couldn’t keep my eyes open any longer. No, it’s difficult because part of the genre discussion I want to have about Red River is kind of a spoiler for the book – or at least part of the storyline. So consider this your warning and proceed with the knowledge that what I’m about to discuss could reveal a potential spoiler for you. Wesley Stone was born an Alpha and always assumed he would lead his pack. But as his uncle refuses to cede control to the Purple Sky Pack year after year, Wesley assumes that he will be forced to challenge his uncle. This is not something he wants to do because his uncle is a good Alpha and has continued to run the pack not out of malice, but out of concern. Wesley just didn’t realize how much his “birth defect” – a scar that bisects his stomach – was a concern to his uncle and the pack. So it’s not surprising that Wesley was beyond stunned when his uncle informed him that Wesley was in essence being traded for an Alpha from the Red River pack. I felt and understood Wesley’s anger, resentment, and sense of betrayal at being rejected by the pack he had served his entire life, simply because they saw a scar he was born with as a weakness rather than judging him by all that he had done for the pack. I even understood the comparison he drew to being prostituted out for his pack to get another Alpha. 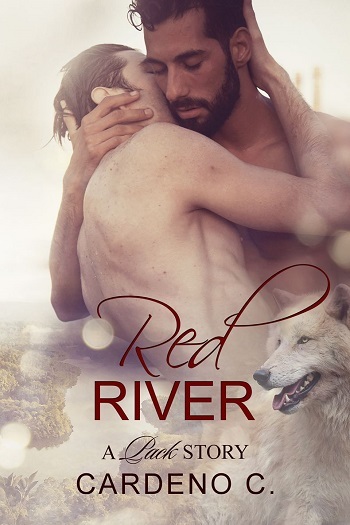 This made his aloofness upon meeting Jobe, his Red River mate, understandable, and if finding Jobe with another man – even if it was innocent – made his resentment over the situation worse, I couldn’t begrudge him those feelings. The author does a great job of conveying Wesley’s feelings regarding his situation without making him come off as a whiner because Wesley keeps much of his turmoil to himself, putting forth the strong facade of an Alpha as he was taught. As much as I loved Jobe, I did find myself somewhat annoyed by his continued assumption that Wesley knew more about what it meant to be a shifter than the Purple Sky pack had taught him. Time after time Jobe had to “school” Wesley about aspects of their shifter heritage that Wesley was unfamiliar with, especially in the area of Alpha mates. Because of this, the semi-spoiler issue regarding Wesley’s birth defect was equal parts frustrating (for Wesley and me) and amusing (for me). Wesley told Jobe more than once that he knew of no Alphas with a mate, so that should have been a HUGE clue to Jobe that Wesley wouldn’t understand the significance of the scar. Further, Wesley’s reaction upon becoming violently ill should have been a hard smack to the back of Jobe’s head that he REALLY didn’t get it. As this is the first book I have ever read involving male pregnancy (<= that’s the spoiler folks), I was just as bewildered as Wesley. In the end, I loved how the story turned out and I thank the author for easing me into the Mpreg genre because it’s one I haven’t worked up the nerve to read yet. Honestly, I can’t think of another author’s writing style better suited to introduce me to the genre. So thank you Cardeno C. for yet another lovely story and for a beautiful introduction to a new genre. Red River was an excellent addition to the Pack series and I look forward to reading whatever Cardeno C. writes next. 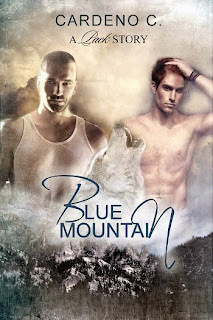 For reviews & more info, check out our stop on the Blue Mountain Blog Tour. Cardeno C. – CC to friends – is a hopeless romantic who wants to add a lot of happiness and a few "awwws" into a reader's day. Writing is a nice break from real life as a corporate type and volunteer work with gay rights organizations. Cardeno's stories range from sweet to intense, contemporary to paranormal, long to short, but they always include strong relationships and walks into the happily-ever-after sunset. 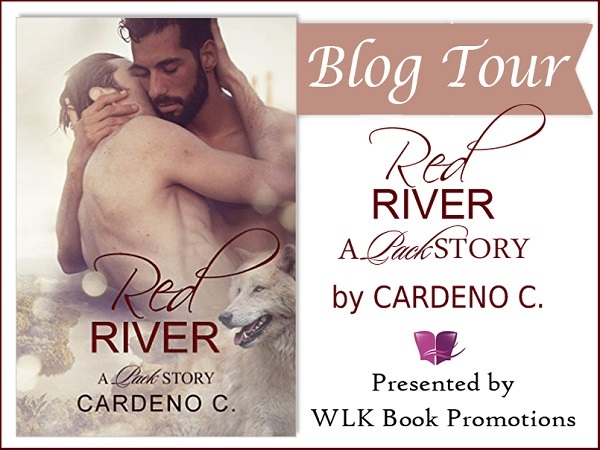 Reviewers on the Wicked Reads Review Team were provided a free copy of Red River (Pack #2) by Cardeno C. to read and review for this tour.